Day Two of the e-auction of radio frequency spectrum, or airwaves, for telecom services saw bids placed for all the four frequencies on the block, with the eight companies in the fray making an offer for Rs.65,000 crore at the end of the 11th round, the government said on Thursday. “The auction of spectrum in 2,100 MHz, 1,800 MHz, 900 MHz and 800 MHz Bands re- commenced today (Thursday) at 9 a.m. and today, 5 rounds of bidding were completed. Till now, 11 rounds of bidding have taken place,” a government statement said. “The bidding has taken place in all bands. At present, a value of approximately Rs.65,000 crore has been committed by bidders in respect of provisionally won spectrum. There is still spectrum, which is yet to be sold. Bidding would recommence tomorrow (Friday) i.e. March 6, 2015 at 9 a.m.” it added. The auctions are set to continue on Friday, which is a public holiday for Holi, the festival of colours. The 900 MHz band saw aggressive bidding. The maximum bids of 106 rounds were received for Kerala circle for the 900 MHz band. This circle saw 44 excess bids. On the opening day, a total of six rounds of bidding took place with a total offer for Rs.60,000 crore. The eight telecom service providers participating in the auctions are Reliance Communications, Reliance Jio, Bharti Airtel, Vodafone India, Tata Teleservices, Uninor, Idea Cellular and Aircel. They have submitted earnest money of Rs.20,435 crore, which is two-and-a-half times what had been called for. The total spectrum put for auction is 103.75 MHz in 800 MHz band, 177.8 MHz in 900 MHz band and 99.2 MHz in 1,800 MHz band for second generation (2G) telephony. The government has also put up 5 MHz in the 2,100 MHz band third generation (3G) telephony. The government had fixed a reserve price of Rs.3,646 crore for pan-India per MhZ for 800 MHz frequency, Rs.3,980 crore for 900 MHz band and Rs.2,191 crore for the 1,800 MHz band. 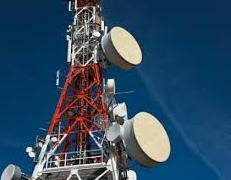 The government also fixed a reserve price of Rs.3,705 crore per megahertz for the frequency for 3G spectrum. As per estimates, at the base price alone, the auction will translate into some Rs.82,000 crore, even as the government expects the actual process to fetch over Rs.100,000 crore.